One of the hottest festival destinations in Europe – meaning temperature-wise and party-wise – is Croatia. Yep, Croatia is on fire. The central European nation has become home to a huge number of festivals over the past 10 years and, in the process, also become one of the most popular summertime stop-offs for festival lovers across Europe, especially for those in the UK. Lazily touted by some as the "new Ibiza," Croatia has many similar qualities to the infamous white island, but is also very different. While Ibiza is home to some of the world’s most famous and influential clubs, plus a daily influx of ravers keen to explore the world of dance music, Croatia is all about the festivals – which range greatly in size and musical style, though you'll mainly find electronic music. Both destinations boast picturesque beaches, but Croatia has the edge when it comes to party economics; you are bound to spend way less money here. To rewind the clock a little bit, not so long ago Croatia was part of the former Yugoslavia (which was made up of Bosnia, Serbia, Macedonia, Slovenia, Kosovo and Montenegro). In the 1990s the region became an area of conflict, and the nations that made up Yugoslavia split. It’s been 21 years since Croatia emerged victorious from the war, and though its recent bloody history will never be forgotten, the region has become stable and prosperous – highlighted by the incredible growth of its festival culture. Its mixture of beaches (which rest against the waters of the Adriatic Sea, across from the east coast of Italy), lakes, natural parks, waterfalls, cosmopolitan cities and a thousand islands certainly don't hurt its appeal to both tourists and festies alike. 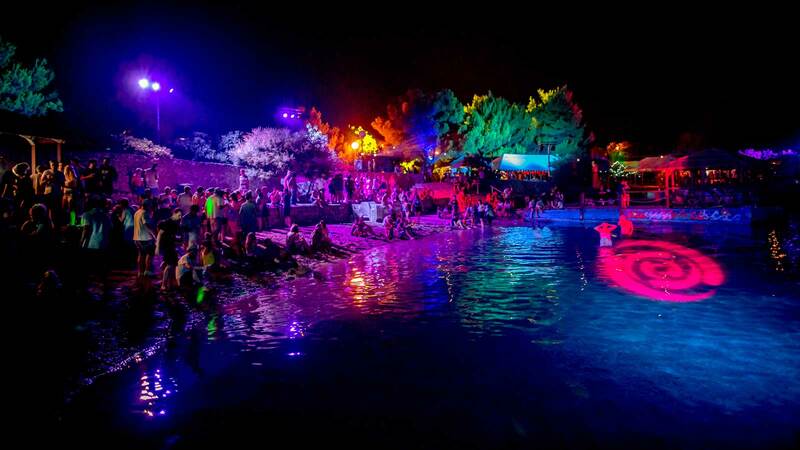 The Garden Festival is the Godfather of Croatian music festivals. Helmed by Nick Colgan, the Garden Festival helped to establish the town of Tisno as a go-to party destination. The tiny little town has become home to several British-run festivals since Garden was set up, and understandably so. It is a gorgeous part of the country, with beaches and forest areas that are unparalleled in their beauty. Garden brought an international lineup of DJs to Croatia, many of whom have underground roots and represent styles of music that fit perfectly into the sun-kissed, daytime atmosphere. Disco and funk-influenced house music, with techno also included in their music policy, combined with the intimate vibe and stunning location meant word began to spread back in the UK about this party paradise. Nick Colgan told Fest300, "We opened the The Garden Lounge in 2004 in Zadar and soon after had found the first event space and Barbarella’s Discotheque in Petrcane about 13 kilometers outside of town, in the countryside near Zadar. I was invited over by a friend for a holiday in 2003 and took the family. One thing led to another and we moved out the following year to open The Garden and have been here ever since. Myself and Charlotte, my wife, and our friends Eddie and Gail founded The Garden Festival, and we brought up our families here." Mikey Gill, owner of holiday firm Croatia Wave , told Fest300, "Garden established a new kind of holiday. It was a concept holiday that involved traveling overseas to a festival. People kept coming back, as there was such a great backdrop and lots of great music." He added, "A lot of festivals were spawned by Garden and what they did. Over the last five or six years the scene has really blown up. It’s because Croatia can offer a music festival experience combined with a holiday – people demand more now than just going to a party destination with clubs and so on, they want a festival going on around them together with a proper holiday. "I first went to Garden in 2011," Gill continued. "It was in a small fishing village called Petrcane. I went with a group of about 10 people and we were blown away with it. I’d been running parties and DJing a bit and was looking for a new business venture, [so] setting up Croatia Wave seemed like a good way to get involved with the scene there." Though Garden was officially brought to an end last year, on its 10th anniversary, the site will continue to be used for Love International – a new event with a very similar ethos. Nick tells us, "We have always been about quality over quantity, which is what the guys from Love International are continuing too, mixing together a holiday and festival experience into something amazing. Lots of people who come over to us travel around Croatia too, they come and explore the rest of the country as well as [come] to the festivals." 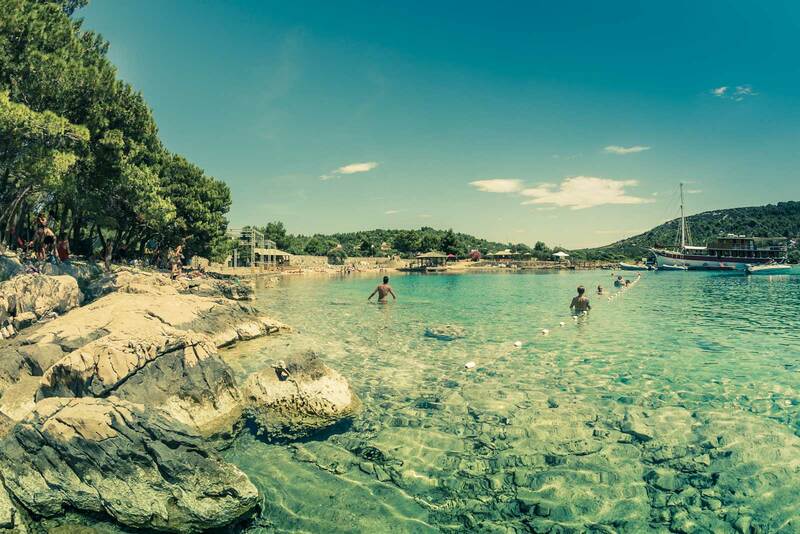 Outside of Love International, several other boutique festivals take place in Tisno throughout the summer. They include Electric Elephant, Soundwave, Stop Making Sense and a new event hosted by one of the world’s biggest house music labels, Defected . However, finding the Tisno site was not an easy task. "[It] was a little stressful as we had six events confirmed for Summer 2012 and lost our beloved Petrcane site in the November 2011," explains Nick. "We ended driving up and down the coast looking at all possibilities within the area that was serviceable by [local] airports. "One day in late November after looking at so many possibilities and running out of ideas, I had a call from my partner who could not talk as he was so excited. He had stumbled across what is now The Garden Resort on the island of Murter, which 100% ticked all the boxes and was geographically perfect, with the picture-postcard town of Tisno nearby. Nick and his partners desired to "retain all of the charm, intimacy and beauty we had originally found in Petrcane, as well as being able to continue to curate The Garden Festival and host everyone else too," and, in the process, realized they'd stumbled upon a new home for the new Barbarella’s in a jaw-dropping, fully open-air club. What About Other Croatian Hotspots? Elsewhere in Croatia are two other key hotspots for festivals; Zrce Beach (pronounced Zerchee) and Pula (pronounced Poola). The former is a beach-based resort located on the island of Pag, in a town called Novalja. Rather than a solitary festival site dominated by one entity, Zrce is split up into different club venues which act as different stages, like Movement or SXSW . From the long-standing Kalypso , through to more recent additions like Aquarius , Papaya and Noa , Zrce Beach is a special place with a pebbly beach and amazing views across the waters of the Adriatic. It has long been a destination for Croatia’s party heads since Kalypso was set up in the nineties. "People would travel to Pag from the capital of Croatia, Zagreb, to spend time there. Kalypso was one of the first beach clubs, so a lot of young people would go there because the best parties happened there," says Medo. "Papaya and Kalypso already had clubs in Zagreb, so when they set up on Zrce Beach, their audience followed." 2007 was a milestone for the area with the booking of Tiesto, DJ Mag’s No.1 DJ at the time, which attracted fans from around Europe. 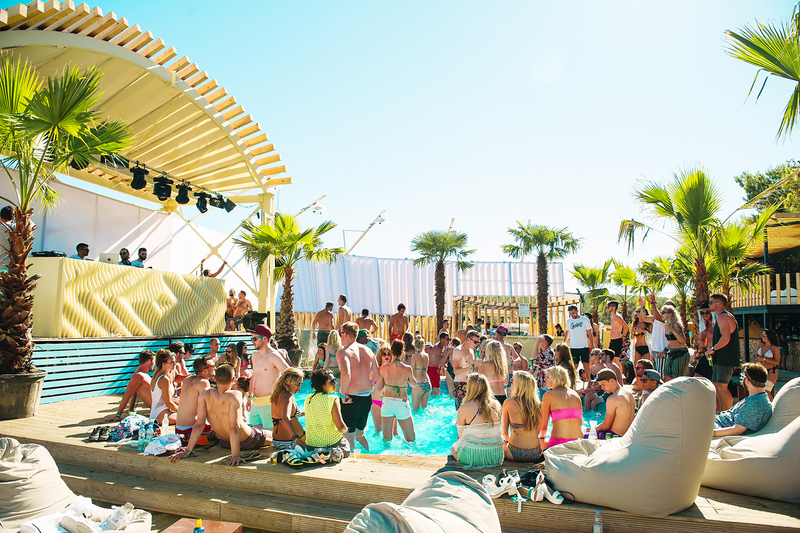 His appearance marked a key moment in the progress of Zrce Beach. It was the first time someone of such global stature had been booked to play there; soon after Armin Van Buuren, Swedish House Mafia and other such acts were brought in, which really put the resort on the map. This worked in tandem with Medo’s connection to British PR Firgas Esack. Together they concocted the idea of labeling Pag as "Croatia’s secret island where the party never stops," which created a mystique and grabbed the attention of the UK media. Journalists were invited to visit the island, and word spread further. Promoters saw an opportunity to set up in an exciting new location that offered great weather, beaches and clubs at a much lower price than Ibiza for both those organizing the events and for festies themselves. It was a win-win for everyone. "The media in the UK really opened the door, not just for the festivals, but also for tourism in Croatia in general," says Medo. "The promoters saw the articles and started reaching out to us. They needed to give their audience an alternative to Ibiza, where prices continue to rise and rise." 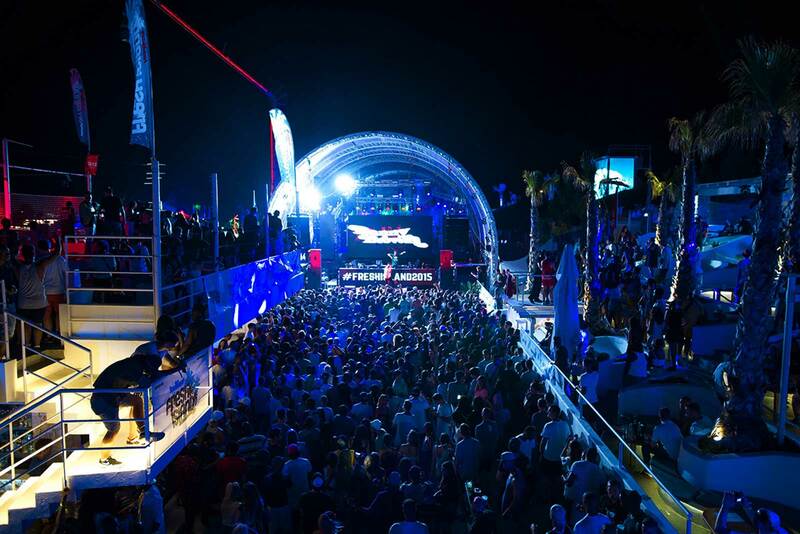 Zrce Beach hosts British event Hideout, a powerhouse electronic music festival which has boosted the local economy to no end since its inception in 2011. Also bringing a huge number of festival lovers to Pag is Fresh Island, a hip-hop-based event where headliners this year include Wiz Khalifa and DJ Premier. This summer four of the clubs on Zrce Beach will collaborate on the Black Sheep Festival – a first for Zrce and perhaps a sign of things to come. As the economy continues to be boosted by a constant stream of festies, it makes sense for local businesses combine their efforts while improving the experience for their customers, rather than competing with each other. 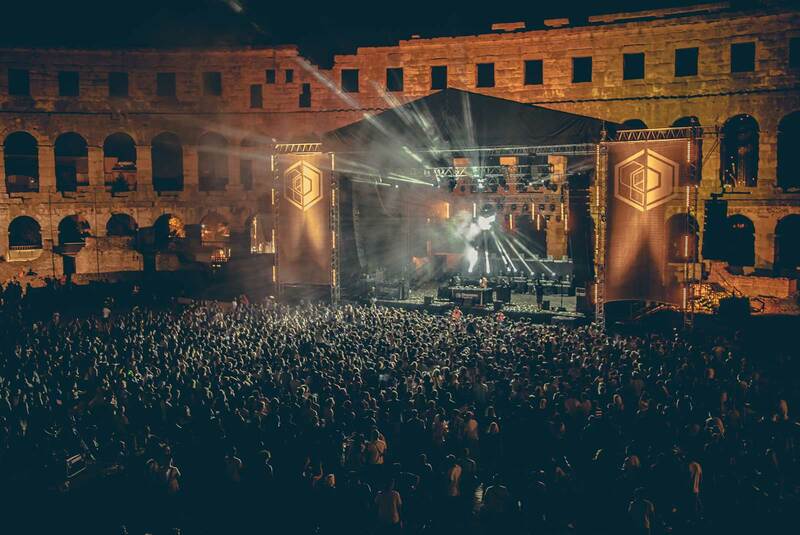 Pula plays hosts to two huge events which operate in different areas of the electronic music sphere: Outlook (which calls itself "Europe’s biggest soundsystem culture festival") is focused on reggae, dubstep, drum n' bass and hip-hop, while Dimensions is straight up techno and experimental electronic music. Both events are run by the same promoters and take place during consecutive weeks in September. The setting is the awe-inspiring Fort Punta Christo and the lineups are absolutely immense – some of the biggest in Europe, no doubt. In fact, there aren’t many festivals that can boast having Damian Marley, Andy C, Goldie, Kano, Stormzy, Jah Shaka and Slum Village on their lineups. Visitors to Outlook and Dimensions party during the day on the beach, and at night they head to the fort where an empty moat and numerous medieval features create an electrified atmosphere. The fort itself was built at the end of the 19th century and its old-world aesthetics somehow fit perfectly with the contemporary music that booms out of the huge rigs set up there during the first few weeks of September. Each season gets bigger and bigger. Large brands like Armada and Ultra are putting on festivals, as well as house specialists Defected, techno experts Dekmantel and Movement, together with a plethora of others. In Winter 2016, the Croatia Winter Music Festival debuted with Armin van Buuren at the top of the bill. In 2017, new festivals like Belgian-run Labyrinth Open and Sea Star (produced by Serbia's EXIT Festival) took their maiden voyages. Tourism in general in Croatia has grown massively over the last few years, from Dubrovnik and Zagreb down to Hvar and other such delights, it’s become one of Europe’s key tourist destinations. In fact, 92.6% of all travel spending in Croatia in 2014 was attributed to "leisure travel spending," with just 7.4% business travel spending (from a WTTC report). Medo proudly explains the appeal of his home nation, "The towns here are not so commercial. We don’t have anything like Ibiza or Las Vegas. People seem to like the basic things, capitalism hasn’t taken over here and people love that. You can go for a drive and find a tiny restaurant tucked away somewhere, it’s natural and basic here – you can explore and avoid big city centers to discover real treasures."